It’s winter. It’s cold. I’m going camping. 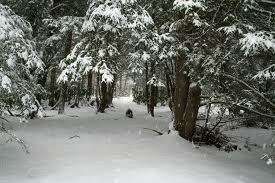 Today when Nicky gets out of work we are heading down to near the PA border and doing some fun winter camping. Of course we are not camping tonight at is it already getting dark and we have a 2 hour drive. We will be staying at my Parents house tonight and departing in the morning. Please check back for an update. Hopefully we will have some video of this trip! This entry was posted on January 7, 2011 by Joe Kenyon. It was filed under Life, Winter . Stay warm out there, looks like it’ll be fun though. It was a great time. A post is coming soon. But for now, it’s nap time!